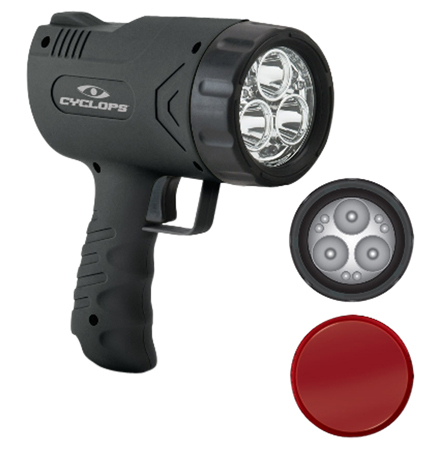 The Sirius 500/45 lumen flash light has three Cree Hi-Power Led's for long range, and six LED's for Immediate area use. It is a dual charge with both AC/DC or 12 volt car adapter both included. The burn time is 4 hours with 3 CREE watt or 40 hours with 6 LEDs. There is an always on lock switch and a trigger pulse switch.